Interestingly, people in a study that ate smoothies made with walnuts had fewer food cravings, even when they were shown images of foods that normally tempt them. Eating foods with omega-3 fat keeps inflammation down. Inflammation in the body is a major factor in causing obesity. This component of walnuts helps to reduce abdominal fat. This healthy fat activates genes that reduce fat storage in your cells. 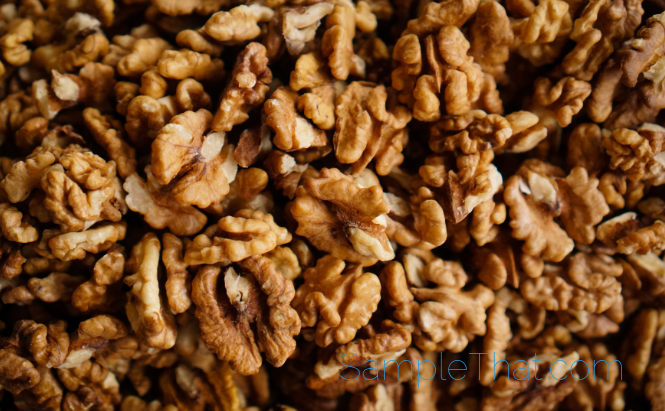 The healthy fats and other healthy minerals and nutrients in walnuts improve your metabolism, which means you burn calories at a faster rate. The combo of healthy fat, fiber, and protein in walnuts makes you feel satisfied, which means you’ll eat less and won’t need to snack too much between meals. Roast walnuts to enhance the flavor, and eat them plain, or chopped and sprinkled on salads, yogurt, or oatmeal for a tasty add-on that’s also good for you!